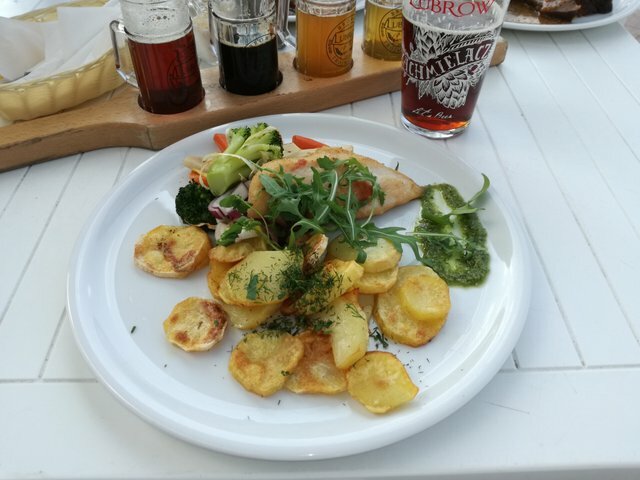 I was a little bit surprised seeing this kind of restaurant in the center of Sopot, so I decided I need to go there, try some beer and write the review. 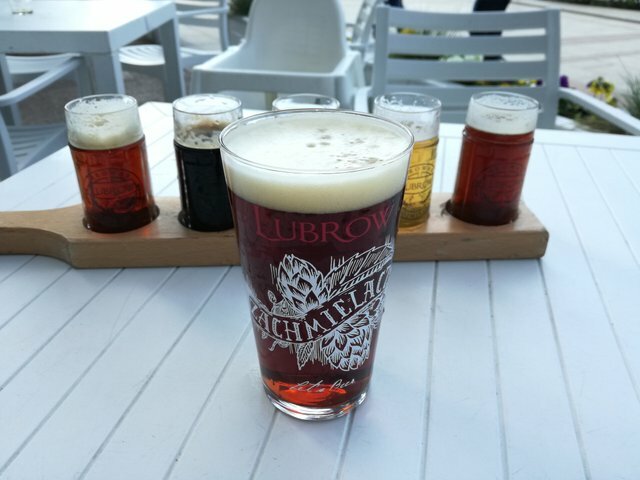 I’m talking about Lubrow Brewery and Restaurant. I wasn’t able to take a look at the inside because I choose to sit outside, but from what I was able to notice, the place is quite big and modernly decorated. However outside, the tables are set in a wrong way which makes space a little bit tight. 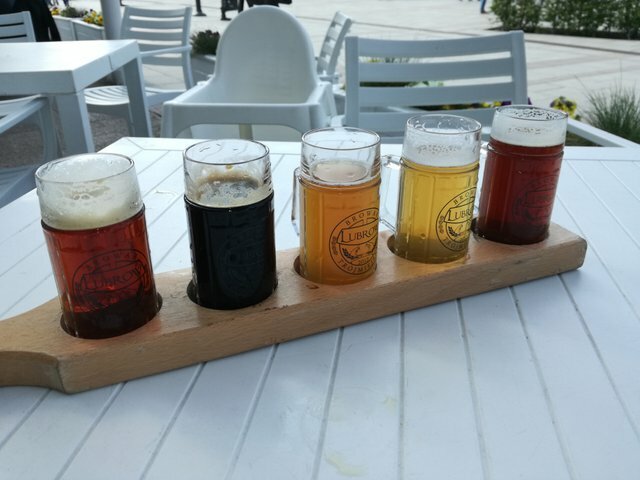 This brewery is offering their own beers and I have to admit that the assortment is quite big, there are twelve beers to choose from. And of course, since this is also a restaurant, it is possible to get something to eat there. 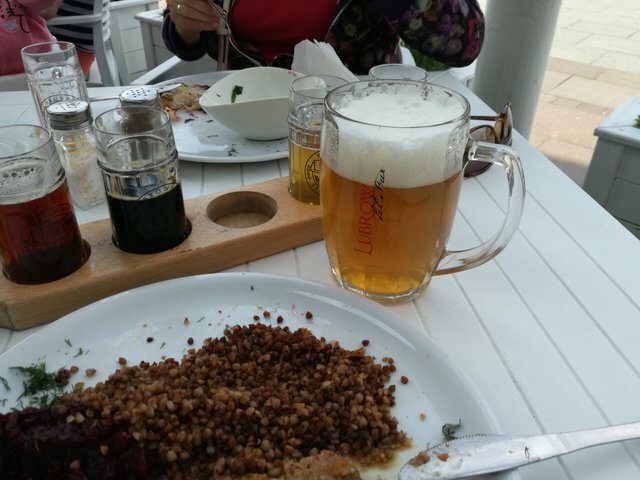 I started my degustation from tasting the beer called Zachmielacz ($3.55 / 3 Euro per 0.5L) and I choose a tasting board of 5x100ml of different beers ($4.37 / 3.72 Euro) for my wife and mother-in-law. Zachmielacz turned out to be a quite pleasant version of IPA with clear malt taste and a lot of bitterness which supremely fits my expectations. It was a very good beer. In the meantime, we also ordered the food. 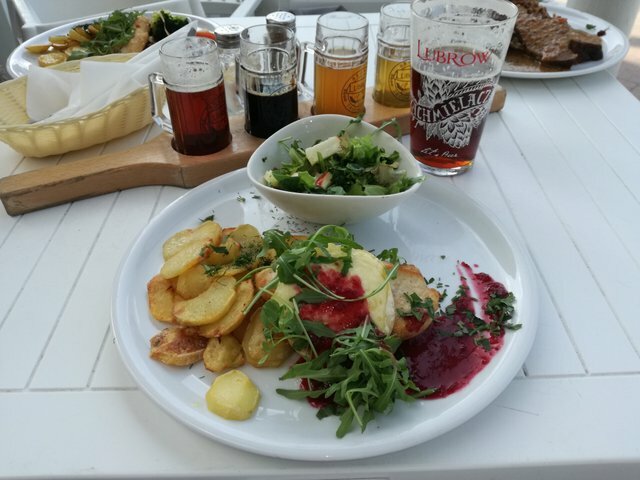 We decided to try chicken fillets - one interlaced with bacon and pesto parsley mousse ($7.1 / 6.04 Euro), the second one roasted with camembert cheese and cranberry and plum sauce ($7.38 / 6.28 Euro), and pork shoulder braised in beer in honey-mustard sauce ($7.65 / 6.51 Euro). I have to admit that we all were satisfied with our choices. During the meal, I ordered one more beer called Nayerbane ($3.55 / 3 Euro per 0.5L) which was Yerba Mate IPA. Very interesting light beer with clearly present yerba mate and surprisingly high bitterness. Again a very decent beer. To sum up, I can only say that I recommend this place. There is just one drawback - the waiting time is quite long both for a food and a beer. But besides that, it is worth to sit there and try their current beers. 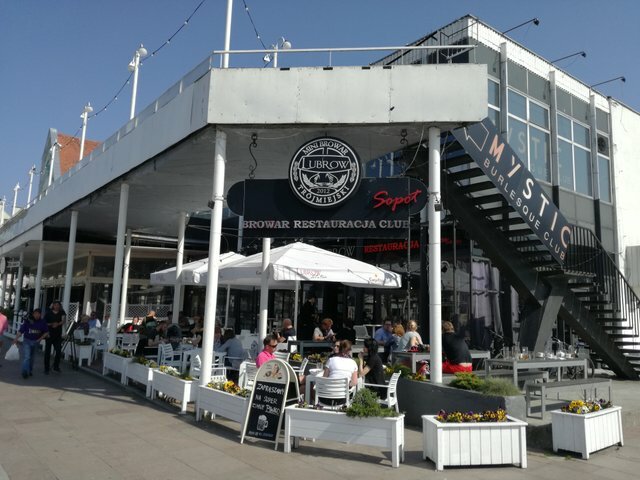 Later you can take o walk to the Pier in Sopot since it’s only three minutes walk from Lubrow Brewery and Restaurant. 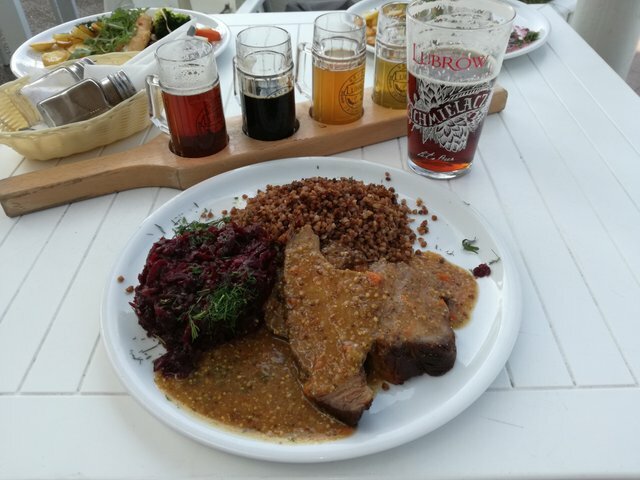 All of those beers look great...and the food. It seems like it was a great outing. Cheers, Dude! It was indeed great :) Cheers Mate!